Our staff are supported by a group of Technical Advisors who provide strategic and technical advice, and quality assurance at a programme, project and policy level. 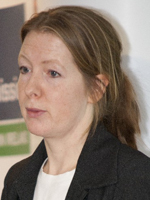 Rachel Murray is Professor of International Human Rights Law at the University of Bristol. Her specialist areas are human rights in Africa, particularly the African Charter and its Commission on Human and Peoples’ Rights and the Organization of African Unity/African Union. She has written widely in this area, including books with Hart Publishing and Cambridge University Press (Human Rights in Africa, from Organization of African Unity to African Union, Cambridge, 2004; The African Charter on Human and Peoples’ Rights. The System at Work, with Malcolm Evans, Cambridge, 2008; The African Commission on Human and Peoples’ Rights and International Law, Hart Publishing, 2000), and articles in leading legal human rights journals. She also advises organisations and individuals on how to use the African human rights system, including drafting cases and participating in its meetings. She is on the editorial board of a number of journals including the Journal of African Law and African Journal of International and Comparative Law. 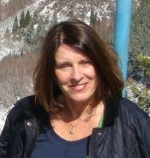 Jan Knight was on the Board of Trustees from 2004 to 2014, with a number of years spent as Chair. She has a background in international development, specifically in the field of social equity and rights, and believes in African Initiatives’ approach through partnering with African communities and supporting them to bring about sustainable change for themselves. Jan considers that one of the most valuable roles of African Initiatives is the learning they are disseminating from their African partners and their contributions to the development education curriculum in the UK. To date, Jan’s work has included short and long-term assignments in 21 countries in Africa and Asia. Her experience and awareness of the changing development environment contribute to the effective governance of African Initiatives. 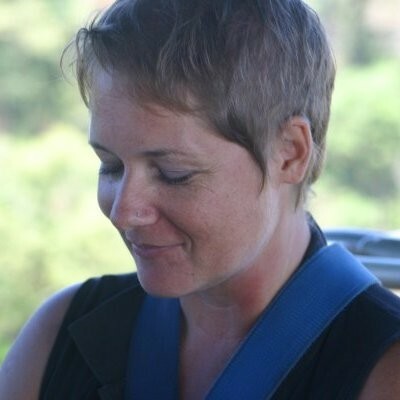 Karen has over 14 years’ experience in disability and international development. Karen originally trained as a physiotherapist but then worked with VSO in India. This experience led her onto completing an MSc in Community and Disability Studies at ICH in London. She has since been employed by Handicap International and ADD International. She has worked with international and national NGOs, governments and service providers promoting the rights and opportunities of disabled people. Karen is a member of the Gender and Development Network (GADN), the Gender and Evaluation platform and the Pelican Initiative. She is also part of the Gender & Disability and VAWG (from June 2015) working groups.